Hmmmm, I'm inclined to say "shades of grey" but in Kelvin Heart's voice, "I don't see no grey here". All I'm seeing is beautiful and classy ladies and above all, this is for the first ladies in town babe.... And guess what, they are not apologetic on their beauty. 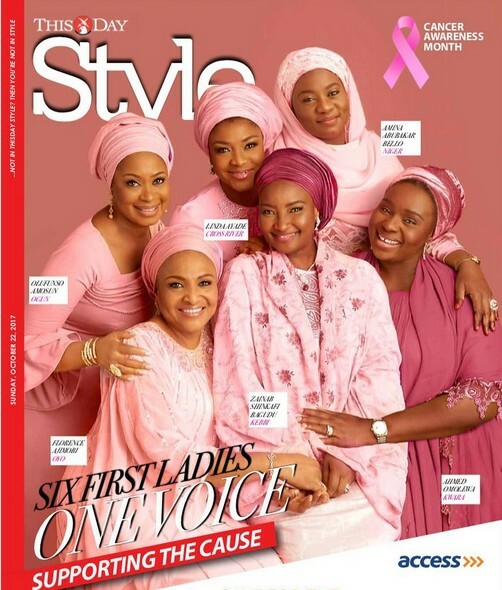 These 6 wives of governors covers the ThisDay Style Magazine this time around and suffice to say, they are celebrities. Figure out the governors involved in their lives guys.